I’ve always said, inevitably this would happen. That television and the internet would not be the separate entities they are today. They’re too much alike. And they’re becoming more and more similar all the time. For the last three years, I haven’t watched more than ten minutes of television at a time that wasn’t a DVD or old home movies. The wife and I had been considering getting Satellite TV, but as time has waned on, we haven’t really had need to. Most everything I want to watch is available online in some manner. And it’s becoming easier and easier to find what I’m looking for quickly. With Google TV on the horizon, the bridge between television and the internet become significantly more solid. Now don’t get me wrong. The process of watching videos on the internet is not perfect. Not hardly. Hulu comes the closest to getting it right of any website I’ve seen. But Hulu is ultimately limited by an entertainment industry who just doesn’t seem willing to accept that it’s going to need to change its business model if it wants to survive. Their demise is certainly not eminent. Not by a long shot. But as the next generation of entertainment seekers turns more often than not to the internet for their e-fix, and more of my generation turns away from cable/satellite in disgust, Hollywood’s business sector will have no choice but to face the music. (The one coming from their mobile device and not the radio.) They will be forced to and may even be required to take a hit to their overall income just to stay in the game. Right now even the best of the video sites who share television and movies legally are victims of streaming rights that limit the amount of time their allowed to keep certain properties up. The wife and I just got finished watching “Stargate: SG-1” in its entirety because someone had the foresight to put the popular series on Hulu. Keep in mind, Stargate ran for 8 Seasons. Sure I could have added the boxed sets to my Blockbuster Queue, but that’s also becoming less and less reliable. I’ve had “The X-Files” Season 7 in my Queue for 3 years now. (When they said “Extremely Long Wait”, they weren’t kidding!) And when I complained for the third year in a row, they finally sent me some DVDs…out of sequence. So watching Stargate on Hulu was more convenient than dealing with an unreliable Queue and waiting for it in the mail. But even so, cramming 8 seasons into six months was somewhat of a feet for people with little time to watch things, much less as a family. And even Stargate is an anomaly. Hulu, TV.com and all the network websites shows are by and large subject to that show’s limited streaming rights. This means that you only get about five shows of the current season of series posted at a time. (If you’re a “House” fan, you have to wait two weeks before they’re post the most recent episode.) If you can’t catch up in that amount of time, you’re out of luck. If it’s the type of show were you really need to watch from the beginning, well tough luck. Buy the DVD if you can afford it. Rent it, if you can find it. Watch it, if you happen to have the time to go look for it. And this applies to old shows as well. When it came time to watch “Stargate: Atlantis”, well, Hulu was only allowed to cycle through eight episodes of Season 5. Really, why even bother? With all that said, we are getting there. And I think we’ll be there shortly. Technology moves at a rapid pace, and business is invariably forced to keep up. Remember those commercials advocating the importance of using email and the crusty old CEO declaring that Edison or some other historical figures never used email? His secretary tells him patiently that they would today. Who even has to bother to make that argument now? 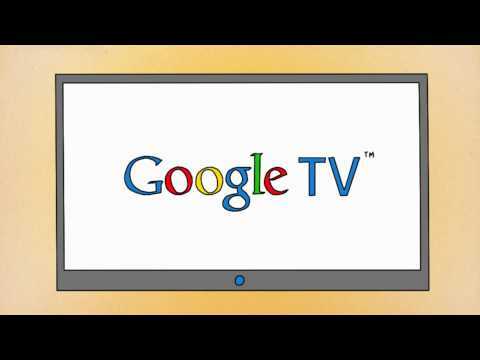 Hopefully, Google’s foray into the TV business (TV App Business?) will open up the doors and eyes of Hollywood execs to the potential and inevitable demise of cable/satellite and the rise of the internet being your primary entertainment venue.